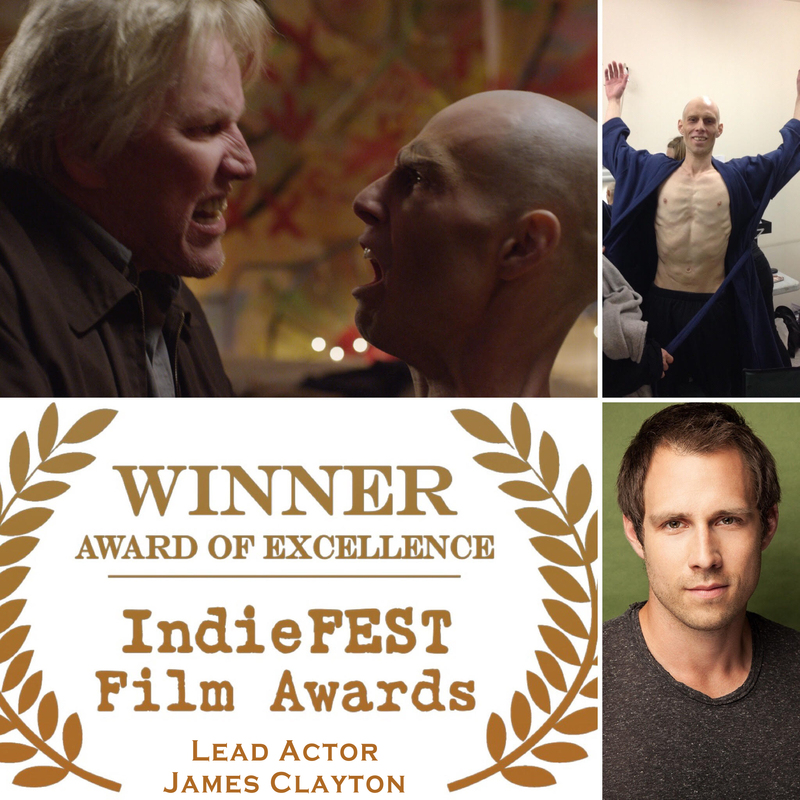 James Clayton has won the prestigious IndieFEST Film Award of Excellence for his lead role of Peter in the upcoming thriller CANDiLAND; also starring Gary Busey and Chelah Horsdal. CANDiLAND is based on the novel by Elizabeth Engstrom and will be distributed in North America by IndustryWorks Pictures spring 2016. “It is an extreme honor and privilege to be awarded this distinction. This is really a reflection of all the hard work of the crew, cast, and everyone who supported this great film. I am eternally in debt to my co-leads Gary Busey and Chelah Horsdal who were an inspiration everyday and will no doubt be recognized for their outstanding performances in this film. As well as to the magnetic Elizabeth Engstrom, and of course, our inventive and extraordinary leader, writer/Editor/Director Rusty Nixon.” says James Clayton. CANDiLAND: Struggling to rebuild their lives, a former tennis star (James Clayton) and a recent divorcee (Chelah Horsdal) decide to isolate themselves from the world in a quest for true “oneness”; as their affair descends into savagery, his father (Gary Busey) must fight to save them before they disappear completely into madness. James has been building a career of diverse characters and is known for his deep commitment and detailed preparation. The character of Peter marks a new benchmark for James as he lost 55 pounds, shaved his head, and shaved down his front tooth for the role. James who currently appears in several episodes of Fox TV’s Minority Report also produced and starred in the Sci-Fi/Thriller Down The Line (2014). He also starred in the Caper Comedy Foodland (2011). Clayton began his acting career at the age of sixteen when he booked his first role in K19: The Widowmaker (2001), starring Harrison Ford and directed by Kathryn Bigelow. Since then, he has added an extensive list of versatile characters to his resume. In 2004, James went on to a supporting lead role in the Horror feature Adam and Evil followed by a leading role in the Thriller feature The Bentley Box (2004) and honed his comedic skills while leading in the head-banger Comedy, Blackbridge (2006). On television, James has appeared on the hit CW series Supernatural (2009), Fox’s Fringe (2011), and has appeared as leading roles in multiple commercial campaigns for clients such as Reebok, Suddenlink, Kia, and Telus. James is also one of the co-managing directors of Motorcycle Boy Productions along side writer/director Rusty Nixon and actor/producer Blaine Anderson. The three produced the psychological thriller Candiland. James and Motorcycle Boy Productions are in the late development stages for the Supernatural Horror film, Residue (2017), written and directed by Rusty Nixon. Motorcycle Boy Productions is a film service company operated by Motorcycle Boy Studios Ltd and founded by Managing Director/Producer James Clayton. Co-founding members include Rusty Nixon and Blaine Anderson. The name Motorcycle Boy Productions is homage to the great Mickey Rourke’s character in the film “Rumble Fish”; based on S.E. Hinton’s famous novel of the same name. 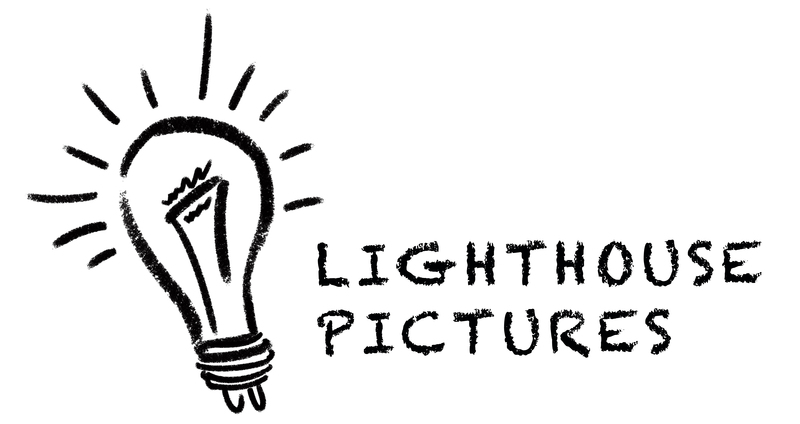 The name was chosen to convey the unique, adventurous, and profound qualities of the films created by the Company. Vision Statement: The Company is committed to the job expansion and the overall growth of the Canadian film industry for worldwide distribution. Mission Statement: The Company achieves this by partnering with local venders, crews, and artists to produce films at low cost with high production value. The IndieFEST Film Awards are unique in the industry. Attracting both powerhouse industry veterans as well as talented new filmmakers it is an exceptional, truly international awards competition, not a traditional film festival – which allows filmmakers from around the world to enter their films in this prestigious competition. The IndieFEST is about helping industry professionals who create fresh, standout entertainment achieve the publicity and credibility they deserve. Serving filmmakers is the IndieFEST’s primary goal. Currently in its 7th year, The IndieFEST Film Awards is an avant-garde worldwide competition that strives to give talented directors, producers, actors, creative teams and new media creators the positive exposure they deserve. It discovers and honors the achievements of filmmakers who produce high quality films and new media. Our talented IndieFEST award winners have gone on to win Oscars, Emmys & Tellys. This entry was posted in Candiland, IndustryWorks Pictures and tagged Awards, blog, Canada, Candiland, Chelah Horsdal, Elizabeth Engstrom, film, Gary Busey, IndieFEST, IndustryWorks Pictures, James Clayton, Lesley Diana, Media, Motorcycle Boy Productions, North America, PR, Public Relations, The Promotion People, TV, Vancouver on December 2, 2015 by press. 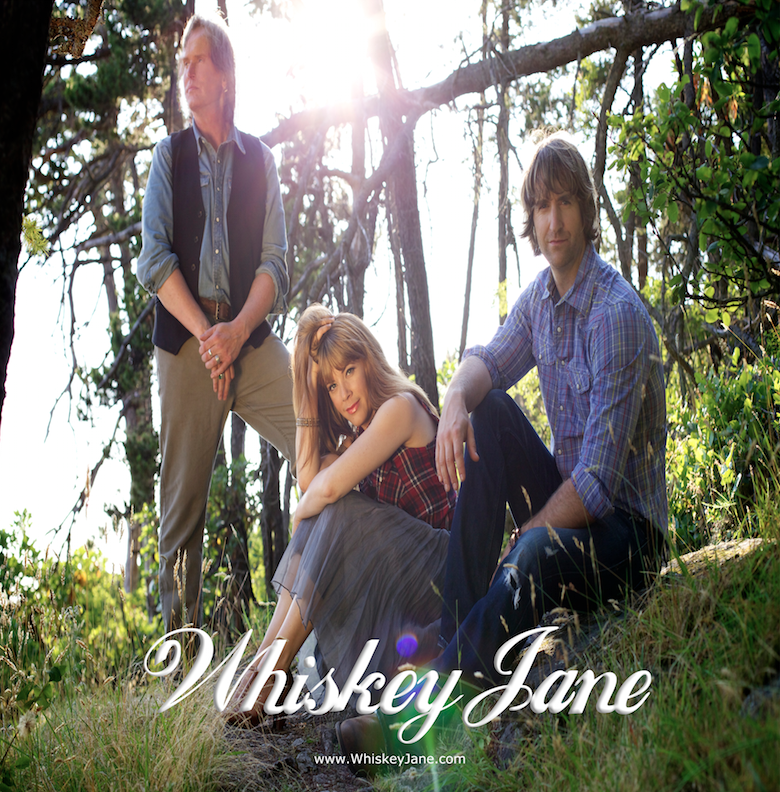 Whiskey Jane’s second album “Unbreakable” features some of the best performances and songwriting from the band yet. The new single is available for purchase on iTunes and can be requested to play on the radio across Canada along with their 7th single “Seventh Wonder”. Whiskey Jane’s tour throughout Western Canada will support the Princess Patricia’s Canadian Light Infantry (PPCLI), one of Canada’s most renowned infantry regiments that helps serving and former soldiers and their families in need. Having supported the PPCLI charity since 2011, Whiskey Jane wrote and dedicated their song “Dear Jane” to the foundation and will be donating $5.00 from every CD sale on tour to the “For The Soldier Foundation”. 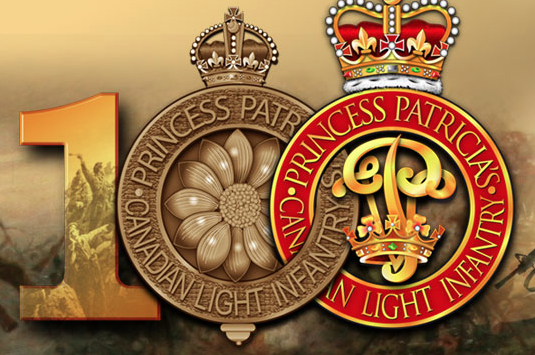 They will also be playing at PPCLI’s 100th Anniversary celebration in Edmonton on August 7th. This entry was posted in Whiskey Jane and tagged 2014, Acoustic, Alberta, album, Awards, Band, Banjo, BC, Cactus Annie's, Calgary, Calgary Stampede, Canada, charity, Cloverdale Rodeo, Concert on the Beach, Corey Hawthorne, Country, D Trevlon Band, Dobro, Edmonton, Festival in the Park, Gabbys Country Cabaret, Guitar, Harmony, Harrison Hot Springs, interview, iTunes, July, Kamloops, Keyboards, Kirby Kaye, Langley, Lead, Lesley Diana, Media, Merrit Mountain Music Festival, Merritt, Mission Riverfest, music, Music Fest, Natalye Vivian, new, PPCLI, press, Princess Patricia's Canadian Light Infantry, radio, Rafe Haines, Ranchman's, Record, release, Richmond Ozone Olympic, Seventh Wonder, Single, Stampede, Studio, Sun Peaks, The Dirty Jersey, The Fairview, The Promotion People, The Railway Club, Tour, Unbreakable, Vancouver, Vocals, WCMA, Whiskey Jane, Williams Lake, Winnipeg on June 21, 2014 by press.